Today the energy sector in Turkey represents one of the most interesting business opportunities in the country. The privatization and de-regulation process undertaken by the Turkish government over the last decade, together with a solid legal framework and growing internal demand, have made Turkey a key country for energy investors. 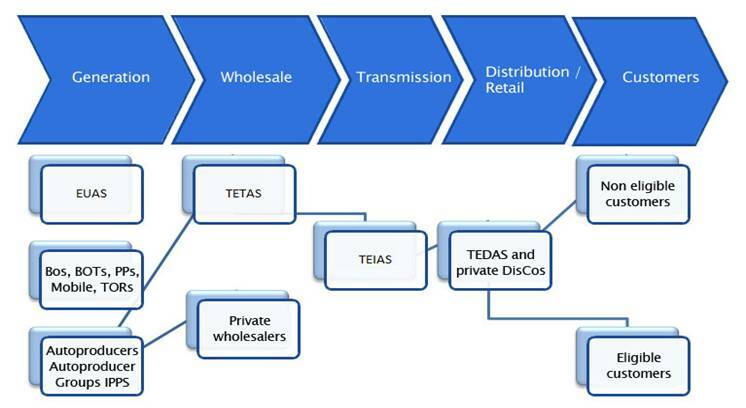 The Turkish electric distribution company TEIAS is forecasting an annual growth in demand of 6% between 2014 and 2023. This forecast is sustained by demographic growth, the development of the population in urban areas and an expected rise of industrial production. On the other hand, the Turkish electricity generation market is one of the fastest growing in the World. From 1998 to 2017 the total installed capacity increased from 23,000 MW to around 83,500 MW, and it is forecasted to reach 96,000 MW by 2023. Electricity generation is lead by gas and hydroelectric power stations, followed by coal and wind plants (near 6.000 MW have been already installed). The amount of electricity generated by other renewable such as biomass and solar energy is still not significant, although pre-licenses for the construction of 600 MW solar plants have been already awarded through tender, being the first one in Turkey, and the unlicensed solar market is growing fast, totaling more than 1,000 MW installed. Due to its suitability for wind and solar energy, Turkey showed an increase in world rank with the studies done. With the studies in acceptance to energy, renewable energy and energy efficiency, Turkey ranked 23rd out of 111 countries. Now with the recent data, 316,7 MW installed capacity of 28 electricity power plants commerced in Februaru. 94,2% of this capacity is local renewable energy.